SK E&C has announced they have won three contracts to supply Bloom Energy Servers in Korea, expanding upon the two firms’ growing business relationship. The contracts come after a November 2018 agreement by which SK E&C became Bloom Energy’s distributor in the country. It also builds upon the partnership that delivered a utility-scale project into commercial operation in Bundang, Korea last year. SK E&C will supply Bloom Energy Servers to Korea Midland Power Co. (KOMIPO), one of Korea’s six regional power generation companies, and to KT Corporation (formerly known as Korea Telecom), South Korea’s largest telecommunications company. The project with KOMIPO is a 6 MW fuel cell installation. The high space-efficiency, pleasing aesthetics, low sound level, low CO2, and virtually no smog emissions of the Bloom Energy Servers allow for a non-invasive fit with the surrounding parkland and nearby residential buildings. The project will provide electricity directly to the national grid, powering more than 12,000 homes. 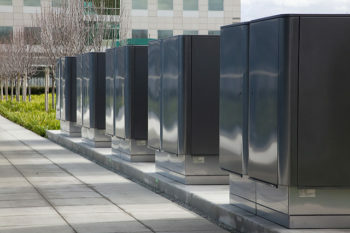 SK E&C will also supply Bloom Energy Servers to power two projects for KT Corporation. Each project is 900 KW and will also provide electricity directly to the national grid, powering more than 1,800 homes. The deployments are part of KT’s Smart Energy initiative to become a leader in advanced energy technologies.